sooo... what is the point of this seat ballet? What's wrong with driving backwards (except for a small number of elderly people) and having trains with half the number of seats in one and the rest in another direction? I would like to know if this will actually save money in the long run. 1) I'm sure this is purely for the comfort of the passengers. 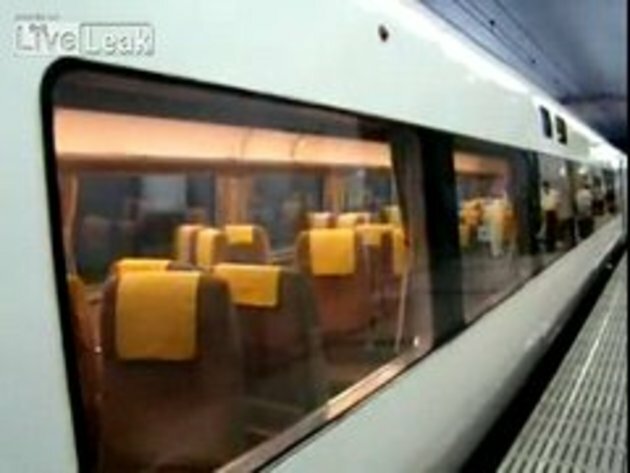 Consider that these trains are Shinkansen = Bullet trains that go over 350km/h. I don't mind riding the train facing backwards, but at those speeds it might be a different thing. Believe me, it's fast! For instance, crossing a bridge over a river takes less than a second! 2) The trains are tremendously long, so turning them around would require lots of space. It really is easier to have them reverse direction. feel kinda dizzy dont ya? Useless. If more seats would pop out it might have been something but just changing the position is just useless. Nice innovation, seems to lose a fair bit of area utilisation though to allow for it. Also, why do only half the chairs spin? Is one of the purposes of this to cater for families and groups of friends etc. who want to sit in a booth? Now i am sure!! The Japs invented timetravel 100%! !